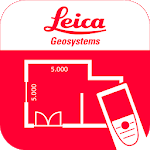 The Leica DISTO™ Plan app assists you with the vital task of documenting and visualizing your measurements. Fingers can be used to sketch a floorplan on a smartphone or tablet and corresponding measurements are easily assigned to each line of the plan. This way you can easily plan the next steps of your project. Simply use your ﬁngers to create a sketch on your smartphone or tablet. Then take corresponding measurements and assign them to the relevant lines of your sketch. 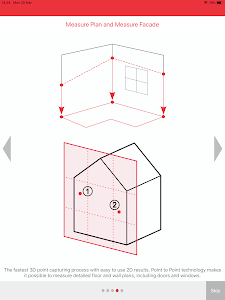 The app’s ‘auto-scale’ function automatically adjusts the lines’ length and the result is a scaled drawing, showing surface area and circumference. It is that easy to produce a CAD ready ﬂoorplan. 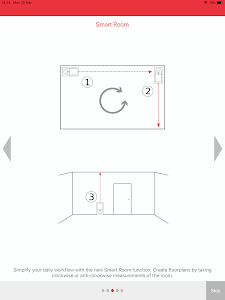 A newly integrated sensor in the Leica DISTO™ X3 and X4 makes it possible to create accurate ﬂoor plans simply by taking clockwise or counter-clockwise measurements of a room. Once all measurements are taken, the app automatically generates the plan. Keeping records of each measurement and the angle between any two of those measurements at the same time makes it possible. 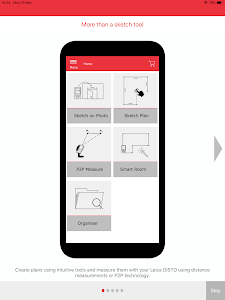 The Leica DISTO™ app supports P2P technology which makes it possible to create detailed ﬂoor or wall plans, including doors and windows. 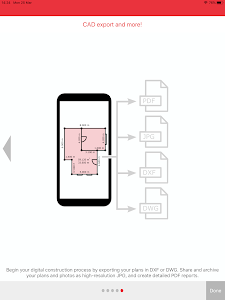 Once complete, simply export your plans as a dxf or dwg ﬁle into your preferred CAD solution. Leica DISTO™ Bluetooth® Smart technology allows you to assign distance measurements to the appropriate part of a picture taken with your tablet or smartphone. This way you can document all your measurement results and easily process them later in the ofﬁce. 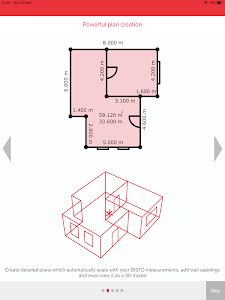 All measurements and floorplans can be exported as a CAD drawing, JPG or in a PDF format. CAD exports are possible as DXF or DWG format, which allows to seamlessly integrate the measurement data with digitized construction. PDF export detailed reports include all created measurements in easy to read and understandable structure.